1) visit the ateljé nord and take a look around! one winner will receive $500 to spend on any item(s) of their choice. the winner will be chosen on december 13th at 10am PST. use the code DESIGNLOVEFEST20 for 20% off through january 1st. open to international readers, yay! This chandelier is absolutely amazing, it would be such a statement anywhere! Beautiful. 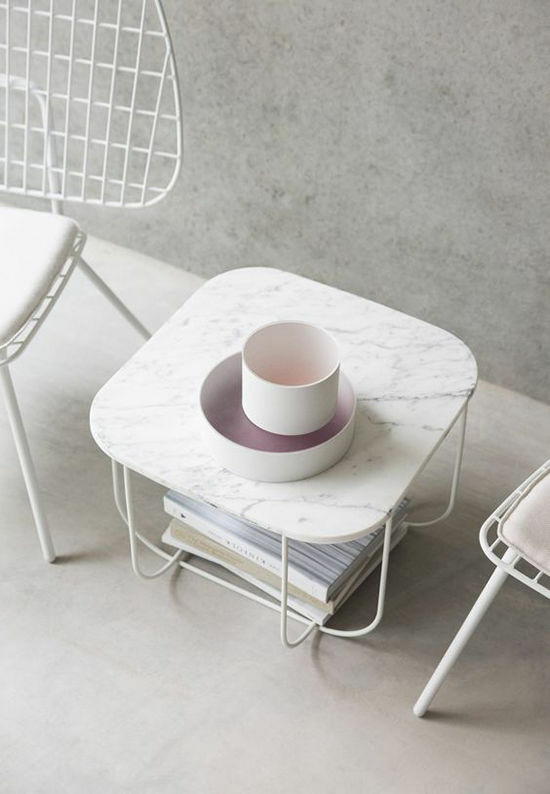 I especially love this little side table () and so useful!! 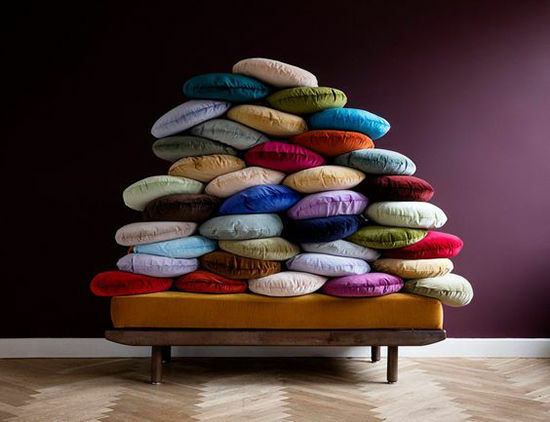 I also love these round pillows () – the colors are to die for! So chic! These pillows would make my bedroom feel so luxe! Obsessed with this magazine holder and monkey lamp! Wow never heard of this site, so happy about this post! I LOVE LOVE LOVE this bench!! I love all the Georg pieces! But I think the Georg mirror in particular would look amazing in our bedroom! The Pepe Marble Mirror is gorgeous! Love that the block table has wheels. everything so cute, especially this mirror! I am OBSESSED with the Harrison Chandelier! I love how it is simple, yet looks like molecules (clearly, I’ve got a science bbackground). I want this in my front hall, or in a vaulted family room! This is fantastic! I love everything but the Georg mirror has my heart !! The website is giving me so much color inspiration! But I was sold as soon as I saw the cage table. That and a fun pillow would be so so good. The Slid Tray () and Nomad () are meant to be in my house. My living room is screaming for some throw pillows, so this would be perfect! So many to choose from! Give me all the velvet pillows. all of them. I think the Stem Vase is beautiful. So clever and such beautiful design. I’m dying to fill my living room with tons of velvet pillows. I love this cushion in Monstera! I’m obsessed with rose gold! If I had to pick one thing it would be the Circum Mirror Rose. Its magnifique <3! 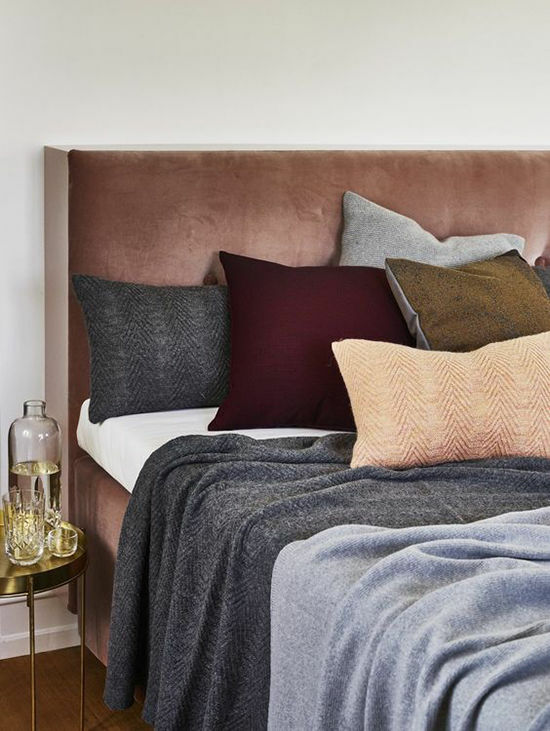 Love the herringbone knit cushion, among others! Oh goodness… everything is too good! Favorites. My boyfriend and I are about to close on our first house! I can’t wait to decorate with simplicity and clean lines. & the colorful cushions are lovely too! Cue googly eyes for the Riviera Lounge! I would spend so many afternoons reading outside and taking naps in the sun on this beautiful piece of furniture. Oh em to the GEE, how many things do I want under my tree? For starters, I love the Gutta Jewelry Box and the TVIS Cutlery . 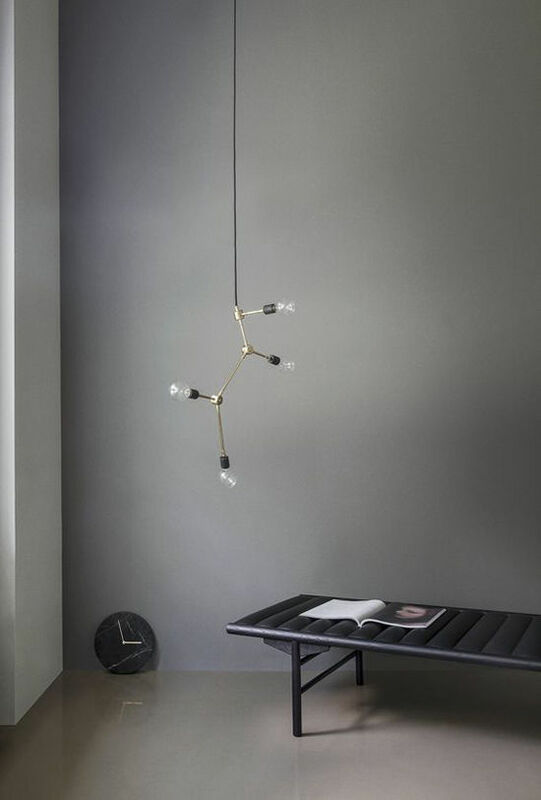 Oh, and the GM Pendant Lamp: . Thank you for the chance to win! These pieces would be a perfect addition to my home! These colors! I can’t get enough of the contrast and deep hues! Not to mention the simple lines. Love! This is not easy! There are too many things to love. Just in love with these lamps! Everything in their shop is amazing! I’m seeing ciiiiircles…love the moody styling. Not sure how I am supposed to pick just a few items, when I love everything on the shop! Oh and the rose gold mirror, obviously. so much that i love! LOVE the look and feel of these pieces. So modern yet classy and would fit perfectly in the interior/exterior of any home. So many things! I could have shared so many more links 🙂 Thanks for the giveaway! the cage table is super cool! I love this rose mirror and the wire plant table. This mirror would look incredible in my entryway! And these trays with the metal inlay pieces… so good! Love the yumminess of the upside down cushions! Just redid the sofa in my living room and these velvety cushions would be so perfect! I LOVE all their cushions and would adore this elegant bowl! love the bench for a minimal entryway! Please pick me! Please pick me! I would be so grateful!! so many things but i love this mirror! Everything is gorgeous. I love LOVE the afternoon bench. And the Circum Mirror in Rose. Scandinavian design is a huge inspiration to me as an interior architect, and I love all things from Atlje Nord! I want basically every velvet cushion in their collection but this one speaks to me the most —https://www.atelje-nord.com/shop/emma-cushion. I’m also obsessed with this wall lamp — . This watering can and rose mirror, too! THAT BENCH! THOSE PILLOWS! THE MIRRORS! Just moved in to a new place. Would Love love love to win this! img string lounge chair pair or safari daybed? gah!!!! Wow, beautiful pieces paired with beautiful photos. So hard to choose my favorite! 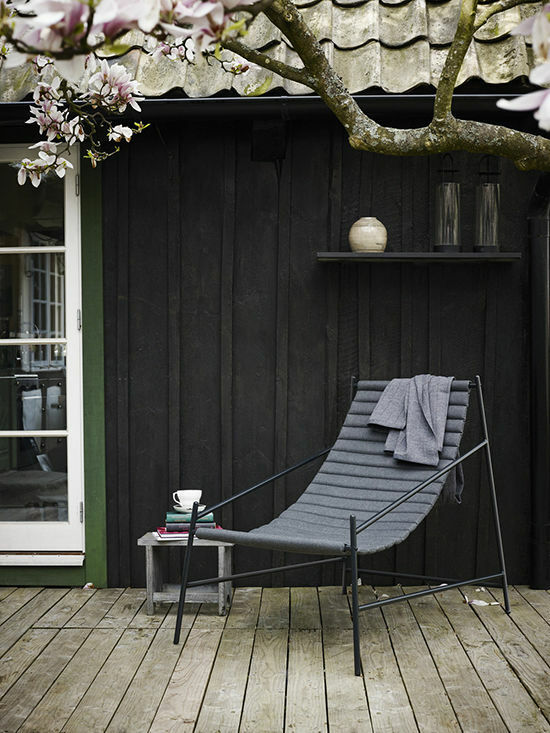 Love the lines in the “Hang Chair” as well as the simplicity of the “Wire Base” plant holder. The “Harrison Chandelier” is also out of this world. I love the Georg Mirror. I usually find mirrors on Craigslist or thrifting, so having a mirror like this would be wild! I know it is simple, but I love this mirror! Amazing giveaway!! My decor is tired and in need of a refresh. I’d love to add these chairs! Fun stuff. Need new plant holders! Would love this mirror in my new apartment! I’ve been looking for a great looking watering can and the Vivero Watering Can fits the bill. I would likely get the deck chair and also love the metal base with the pot holder. Beautiful products! What a perfect meeting of minimalist style & modern functionality in this chic Nomad shelf! I would love one of everything. How can you not? But if I had to choose I would get the Tribeca Staple Wall Lamp and the Stem Vase. Too gorgeous and absolute need in our house. I have an obsession with gold mirrors and haven’t been able to find a nice rose gold so this would be a great addition! This Georg Mirror in oak has my heart!! Given that the dark Winter months are upon us, warm lighting to create a cozy hygge atmosphere is of top importance. I think there are a few beautiful pieces that would tie a room together nicely. I am loving many many things but the Cage Table and Circum Mirror Rose. Wow!! Love the giveaway, thanks! you must be guessing things out because my mom just said today that she wants some purple velvet cushions! The monkey lamp is amazing!!! obsessed with this cutlery! also the chairs and chandelier!! my place needs a makeover! This was NOT easy because I want everything they have but here are my top three! Is it weird that I’m obsessed with this paper towel holder???! and the jewel salad spoons! That vent stool 🙌 we just renovated our house and I’ve been searching for an amazing vanity stool!!! This may be the winner. I love the amp lamps! I love this mirror. The shape is awesome! The Sild tray would be gorgeous for cheese plates. The brut table is amazing!!! So in love with everything on their site! The Turn mirror is too beautiful not to mention. Ughh, I want it all! My space would look so fab! and this incredible tea kettle! Allllllll of the cushions! But for reals I would probably blow the whole $500 on the cushions! So much goodness and so many things I’ve been wanting! I’ve been wanting one of the menu JWDA lamps for my entryway most of all, so that’s first on my list. I just want to live in their website! Love the curva magazine rack. Their light fixtures are amazingly cool! Loveeeee, was hard to pick my favorites! I have been looking for salt and pepper grinders for a while and these fit the bill perfectly! No plastic!! This light is really cool/beautiful! Like a stack of macaroons. Yumm! I’m in the middle of renovating my master bedroom and would love to bring some swedish calm to the space. Could use a number of things but would have to say my favorite was the turn mirror, which would look incredible in our new bathroom. This was hard… I just loved them all. Those round cushions!! We don’t have a room for a couch, so a bunch of those pillows on the floor would be *amazing*! I’ve been DYING for new plates and bowls. This Esrum set is gorgeous gorgeous gorgeous! These throws are super dreamy, too. I’m dying for this mirror. Omg. This would come live at my house. . . . so gorgeous. Fingers crossed and thank you for the opportunity! How to even decide on a favorite?! I might just buy ALL the round pillows!! and I love this whole set! the Upside down cushion in augerbine! Absolutely adore this mirror !!! I’d definitely buy one of the chandeliers or a monkey light! I’ve been wanting a linen tablecloth and these are GORGeous!! Ohhh these lamps would be perfect for our office! Love, Love the Hang Chair and the Georg Mirror!! I love the jewel vases! The chambers chandelier is gorgeous! love love love the jewel vases!! I totally dig the Georg mirror! Love! Also this lamp is awesome! Ok it is so hard to choose a favorite! But I guess I would have to say the TVIS cutlery and the Jewel Salad Spoons !!! I love the esrum tableware, especially paired with the tvis flatware. And the George stool is amazing! Everything is gorgeous!Very difficult to decide. But If I have to mention anything I love the Mojo lounge chair and puff to read in my balcony and the Esrum tableware, beautiful design and I really need a new one! would love this round pillow for my new couch! Perfect to finish off my bedroom! This seems CRAZY, but I absolutely love all of the pillows in each of those shots. I love their color selection. Well I love all of it, thanks for introducing me to a new brand! Loving the Sko Shoe Rack! I love hosting dinner parties and these linen napkins come in great colors and will def. liven up my table! The rose mirror is my other favorite. 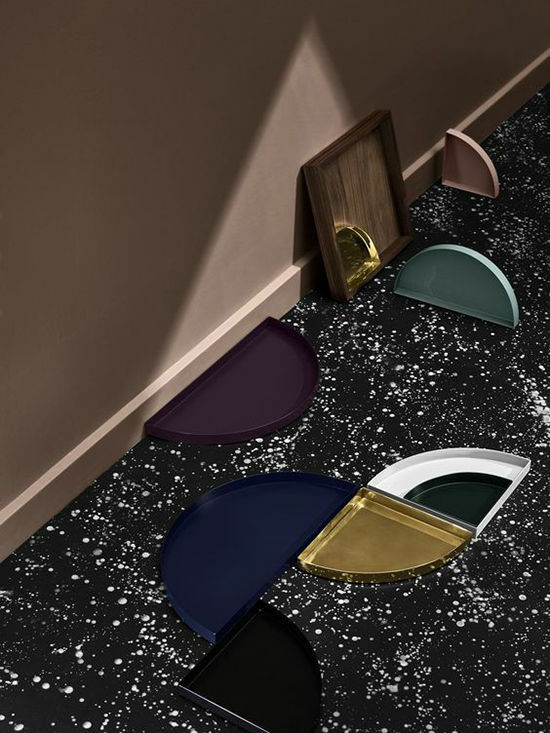 I’m currently shopping for a entry way mirror & love this hue! – How gorgeous is this mirror?!? The Brut table is amaaaazing!!!! I am in love with this desk !! I’m in love with the cage table!! NEED it. Loving the Emma pillow in red! Oh my!!! Love it all! I’m Scandinavian, and definitely feel a tug towards that line of design when I have a home. I just love the simplicity. These lamps are to die for!! Would be perfect for bedside reading. Love this for an entry way, or as a unique vanity mirror! There is something so simplistic yet unique about the design of the Georg Mirror that is very striking to me. It is a take on a mirror that I’ve never seen before. It makes the mirror more of a sculpture or a piece of art and less of something that you need to hang on a wall. Of course the chair is quite handsome with the piece as well. The rope is a beautiful added detail. Fingers crossed I can put this in my place soon! The one I have now isn’t it the best shape and this one is absolutely gorgeous! just purchased a house with a backyard – these chairs would be amazing on the deck! Wow! Love it all. Literally just closed on a house today so I could use so much of this stuff. So beautiful. Beautiful! Love this vase, and these zig zag tea towels: ! I’m a sucker for clean lines and simple design. I like the Nordic Sand tableware and the TVIS cutlery! Also – that Harrison chandelier is to die for. 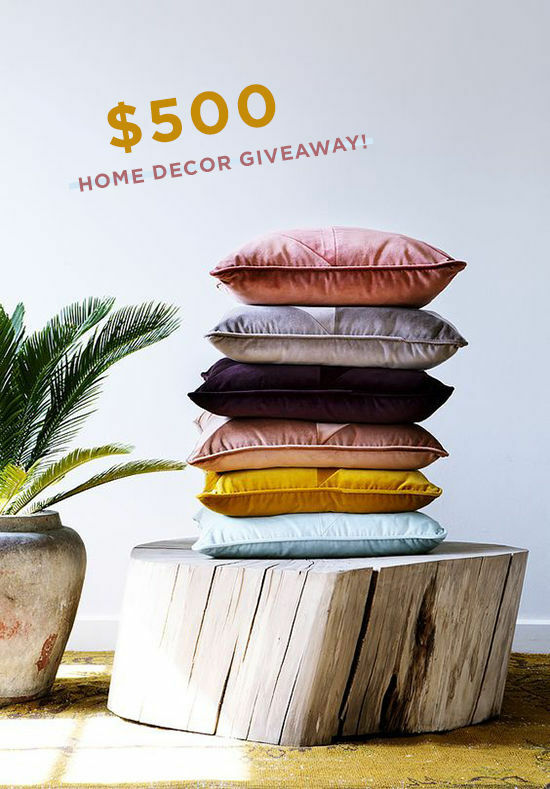 These Upside Down Cushions hues are gorgeous! Absolutely everything is so beautiful! THE Hang chair is so cool, and the jewelry box/tray. Beautiful things! There are so many goods on Atelij Nord catch my eyes! But as for a new cooking lover, I love this Unity tray walnut. As the kitchen beginner, I am more into decorating the food more than actual cooking haha, this the simple but detailing tray catch my attention! I’m drawn to the Tint Throw () and to the Esrum Tableware (). Ahhhhh thanks for bringing this gorgeous brand to my attention. Buying my first house soon and it’s giving me ALL of the inspo. I think they are all gorgeous little pieces and details to make a house a home. in black for my entry! I love the crystal whiskey glasses! Those would look amazing in my vintage bar area! I also love the mirror! Great store! Thanks for the inspiration! I love the Georg mirror! Whoops! I forgot the link. 🙂 I love the Georg Mirror! The esrum teapot and the drool worthy hang chair! I just bought a new bed for the first time in over 10 years and I need to make it look cuuuute so I would totally buy a bunch of cushions! I’m blown away!! What a fantastic giveaway at an even cooler shop. Hard to choose just 1!! The Turn Mirror has such a beautiful shape. Those round cushions: want the whole pile! Yay, international give away! Hi from Holland! I love the peper and salt craft mills, so pretty! We are in the process of buying a new house and I would love this mirror in our new bathroom! Happy holidays Bri & Ateljé Nord! This side table is to die! The George bench is so amazing. This website is really beautiful, I love all of it. i need these cushions in EVERY COLOR!! I really love basically everything… but this magazine rack is just gorgeous!! I really love everything… but this magazine rack is gorgeous! I actually love the Emma cushion! I love the bench! Only know about them through you. Here is a few of my favorites. I was looking at the when I found out I was pregnant. So that purchase got put on hold… but if I win a credit??? I mean, that’s a sign right? Oh wow, I’m blown away by the details that go into each product! My favorite has to be the mouse light! My nickname is little mouski and it’s just to good to be true!!!!! Oops the link didn’t work!!! Beautiful products! I like the not-so-basic basics like the teapot with the heater and the handsome sweeper! Thank you for filling my lunch break with such eye candy! All of these pieces are so lovely and moody! How can you choose just one? Everything is so structured, with pops of colors. Love it! Not only are there so many aesthetic home decor pieces on this website, there are so many useful pieces as well! Love the cushions of course! Also, the linen tablecloth is very nice! new mirror for the entry way! And these are the final choices, I don’t know how I limited myself to these- so hard to do with all of these amazing pieces! What beautiful items! I would love one of the linen tablecloths and the Georg mirror! oh my lord, where to start?! I love everything. and the minimal look of the carrie LED lamp! I like the Riviera Lounge. Haven’t seen anything like it before. The TVIS cutlery would complete a holiday dinner table. Crazy about this rose mirror () and this marble bowl ()! Okay those upside down cushions are dreamy! But I would love that darling mouse lamp for my sweet Ellis’ room. I’m totally in love with the Echasse Vase. I would love a pair of these on my bed! And this mirror in Oak is lovely. I’ve been lusting after this bench after seeing it in your entry room reveal, which by the way is absolutely fabulous – especially the color and Bowie print, Gah!!! It would serve as the perfect replacement to the sad little stool I have in my entryway now. What better mirror to catch a glimpse of myself in on my way out the door. So many beautiful items!! I love all the luxurious materials. I can think of several places where I want this! So many wonderful, modern designs to lust over! This jewelry box has been on my Pinterest wishlist for AGES and of course those velvet pillows! Thanks for the giveaway! It was super hard picking out just a couple, but I think the circular mirror and pillows would look amazing in the bedroom we just redid!! Holy moly! 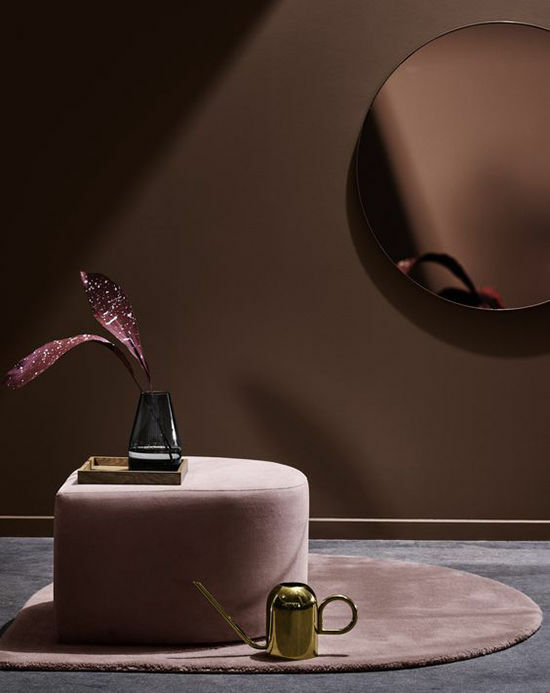 The afternoon bench and circum mirror rose sure captured my attention. I can’t decide which one is my favorite, they are all amazing!! These are gorgeous house items! This is so timely, as I was just looking for a great and beautiful watering can! I want to get both of these Emma cushions – such gorgeous colors! I’ve also been on the hunt for a new tray/cutting board and this Sild Tray is functional art for the kitchen! I’m obsessed with the pepe marble mirrior – perfect for my vanity! I can picture myself lounging in this chair! Thanks for the code – I have been eyeing this little beauty off! Absolutely love that their international shipping is reasonable as well! Wow, I did not know this site but beautiful discovery ! Those knit pillows are my favorite! Just wish I had a larger couch for them… Or maybe the outdoor plant stands! Yes! I love their linens and the velvet pillows! and this planter/table is a cool design! im obsessed with the herringbone knit cushion! There is so many beautiful things to choose from! I really could use this mirror in my small entryway. I would love to style my dining room table with a beautiful linen tablecloth. and of course the cushions! Ahhh! Did I miss the deadline?!? I’m obsessed with these cushions! wow their products are beaut!! Wow so many beautiful things on this site! !